The thing about glory days is that you don't always know when you're living in them. A new campaign from Laughlin Constable makes a pretty convincing case that the Milwaukee Bucks are on their way to revisiting the greatness of years past—not bad when your past includes some of the greatest players of all time. “34” compares current Buck all-star player Antetokounmpo with a couple other Bucks you might have heard of, 12-time all-star Oscar “The Big O” Robinson and 15-timer Kareem Abdul-Jabbar (while slipping in a subtle reminder that Milwaukee, not Los Angeles, got him first).The spots illustrate that the current team is doing more than making their own headlines; they’re living up to a legacy. “Nicknames” compares memorable player nicknames such as Darvin “Ham Slamwich” Ham and Rafer “Skip to My Lou” Alston to today’s players nicknames like Giannis “The Greek Freak” Antetokounmpo and Khris “Kha$h Money” Middleton, rattling them off with some serious flow. 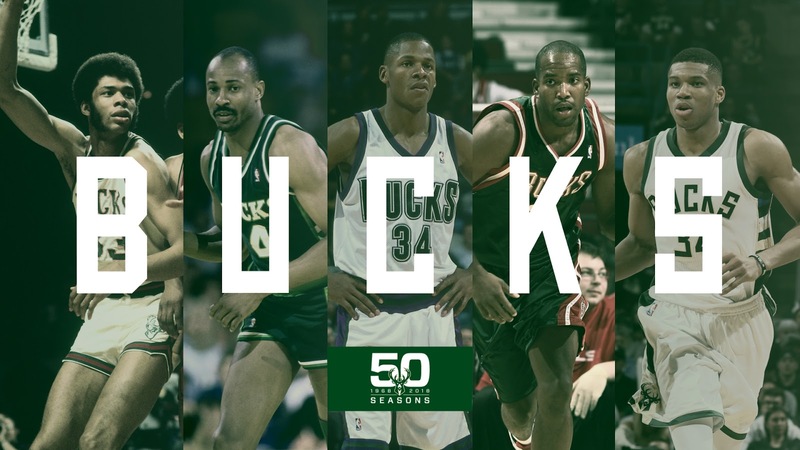 “Positionless,” shows how the Bucks pioneered the now-trendy style of play back in the 70s/80s, and “All-Stars” follows up touting this year’s three all-stars, Giannis, Bledsoe and Khris, with a montage of the greatest Bucks from the last 5 decades. While Laughlin Constable has offices in both Chicago and Milwaukee, its creative team for this project was made entirely of Bucks fan—Bulls need not apply. The campaign, produced at Laughlin’s in-house production shop The Hive, combines current Bucks game-day coverage with vintage Bucks footage, retro-inspired visuals and funk-influenced music. There will be a total of six spots, running on TV, pre-roll and social channels. Since the NBA is highlight focused, each spot was designed to be broken out into smaller segments for social feeds—giving more bang for the Bucks.